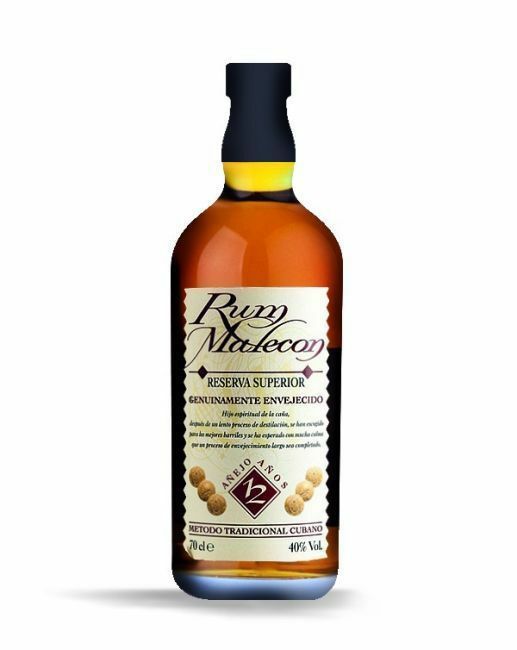 Have you found an online vendor selling Malecon 12-Year? Not a sipper but interesting as a mixer. Does not have a deep body but the flavor was interesting with ginger ale and citrus but covered up with cola. Will not keep but would taste again. I like this one and prefer it over Diplomatico etc. Still there are better rums around. Very nice bottle, but the content is bit underperforming the primal charm. The taste is a bit rougher, but it could be fine sipper if you're not very demanding. But using it in short drinks could be a better way to enjoy it. The dilution will help the taste to rise over that rougher side and mellow down that alcohol pinch in its taste, but it will also provide a more complex taste over the rums that are primarily used for drinks and mixers. Geur is geweldig, je ruikt heerlijk gebrand hout van de rijping op bourbon vaten. Maar de smaak komt nooit in de buurt van de geur, blijft vlak en de smaak is snel verdwenen. An intense rum with a weighty not of citrus and alcohol probability great for cocktails. Un rom care lasa impresia ca este afumat. Culoare atragatoare, gust amplu, miros placut. its focussed on 2 tastes. wood and vanilla. does the trick though. maybe slightly to expensive to replace your overly sweet spiced rums in cuba libres but fine if you're looking for a simple taste neat or on the rocks. Une nez léger, peu d'attaque un rhum tout en discrétion. Aber dann kommt nicht mehr viel! Compare to the 15yo is more alcoholic taste inside and has less mainly vanilla aroma. Je to trošku silnější, hodně je cítit vanilka. Za tu cenu není vůbec špatný. Schönes Bernstein mit Gold Reflexen im Glas. In der Nase, dezente Düfte von karamellisierten grünen Früchten die auf frisch getoastetem Holz liegen. Im Gaumen extrem weich und sanft und leider nicht mehr so komplex wie in der Nase aber dennoch lecker. Die karamellisierten Früchte sind immer noch präsent und die Holznoten treten stärker hervor. Im Abgang übernimmt das Holz das Zepter und fruchtiges Karamell trottet hinterher. Ein traditioneller Rum, nicht süss und harmonisch abgestimmt. Für Geniesser und Whiskey Überläufer. In the nose, subtle scents of caramelized green fruits lying on freshly toasted wood. The palate is extremely soft and gentle and unfortunately no longer as complex as in the nose but still delicious. The caramelized fruits are still present and the woody notes are more prominent. In the finish, the wood takes over the scepter and fruity caramel trots behind. A traditional rum, not sweet and harmonious. For connoisseurs and whiskey defectors. #11 i romkalendern 2017, betyget sammanfattar intrycket. Not my rum: too smoky, too strong taste of alcohol and too sharp. En rom på det jævne. Fin smag, men den dør lidt fir hurtigt ud, og er anelse for ‘skarp’ for mig. Lidt sprittet duft. Smagen er også lidt sprittet og lidt fad. Eftersmagen er kort. Lite vanilj i doft och l smak. Kryddig eftersmak, lite stickig.